From Monday 13 to Friday 17 and Monday 20 to Friday 24 August an archaeological excavation will take place at Attingham Park on the outskirts of Shrewsbury, to further investigate the remains of a historical brick and stone building recently unearthed during park management works. The discovery was made as part of routine work to look at vehicle accessibility in areas of the estate at Attingham in June. A variety of maps and LiDAR survey were consulted to check for historically sensitive areas within the grounds. Although nothing was indicated on historical maps, the LiDAR map showed an area with unusual ground topography. LiDAR is a remote sensing technology that uses lasers to measure the topography of an area, and this revealed ground variations and a difference in ground height. A trial dig was carried out by professional archaeologist Dr Nigel Baker, to investigate below the surface of the ground and the brick and stone structure was discovered. A larger scale excavation will place this summer from Monday 13 to Friday 17 and Monday 20 to Friday 24 August, between 10am and 4pm. Because of the dig’s location visitors to the National Trust property will be able to watch the dig taking place on those dates. Little is known about the structure at this point. It is located near to the Walled Garden at Attingham but does not appear on the 1807 estate map or the 1880 first edition of the Ordnance Survey map. Making it likely the building dates to between the earlier map, and was no longer present or in use by the 1880s. Dr Barker will return to lead the dig, with volunteers from Attingham’s Heritage Archaeology Ranger Team. Visitors will even be able to take part in the dig on three ‘Have a go Archaeology’ days on Friday 17, Monday 20 and Friday 24 August – places are limited, open to all ages, and must be pre-booked in advance via www.nationaltrust.org.uk/attingham-park/whats-on or by calling 03442 491895. There are two timed sessions each day, and there is a small charge to take part in the ‘Have a go’ events. The sessions will include is an introduction to the fine art of archaeology, an overview of what has been found so far, and instruction in how to use the provided tools to take part yourself. Admission to Attingham is free for National Trust members and under 5s, standard admission charges will apply for non-members, there is no additional charge to watch the dig taking place. 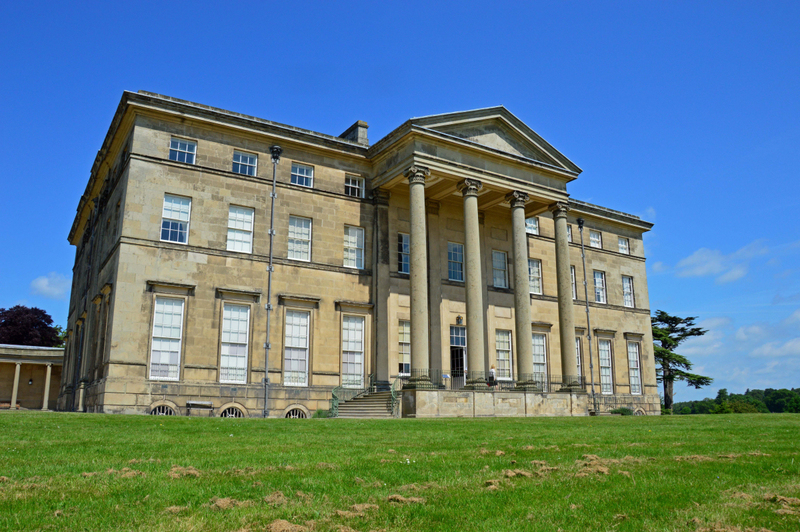 Attingham Park is open daily from 8am to 6pm, the Mansion opens at 11am with last entry at 4.30pm. For more information about Attingham, opening times and admission prices please visit the website at www.nationaltrust.org.uk/attingham-park or call 01743 708170.